Tomorrow, I will preach on the text from the Epistle: “The wages of sin is death, but the gift of God is eternal life”. If you want to hear how it turns out (I do!) 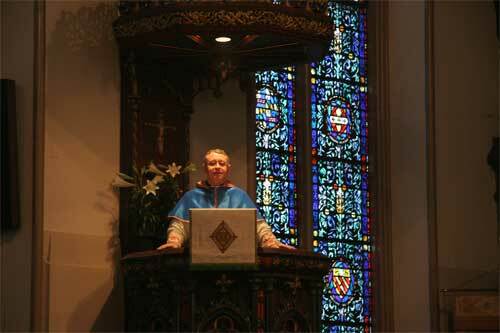 you can listen to the sermon on the St Clement’s web site; click “Resources” and then “Sermons”. We Lutherans make the distinction through Law/Gospel. What you have there looks familiar. Where the Word is there is the Holy Spirit giving and sustaining faith. Thanks for the posts and the blog.